@Import indicates one or more @Configuration classes to import. 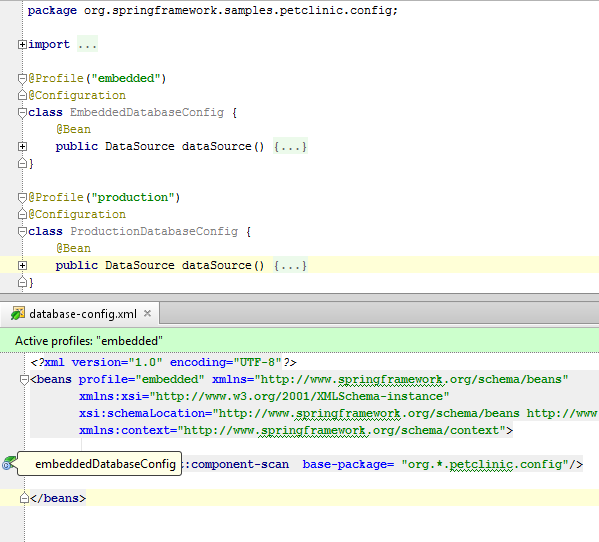 Provides functionality equivalent to the <import/> element in Spring XML. 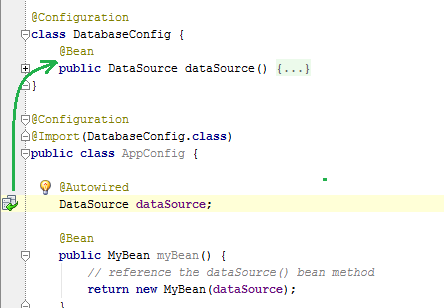 @ImportResource indicates one or more resources containing bean definitions to import. @PropertySource providing a convenient and declarative mechanism for adding a PropertySource to Spring Environment. @Profile indicates that a component is eligible for registration when one or more specified profiles are active. This entry was posted in New Features and tagged Nika, Spring. Bookmark the permalink.